The late Elson Kiddle, skilled yachtsman and good friend to so many in the Hobart yachting fraternity, would have been delighted by the performance yesterday of Intrigue, the yacht on which he sailed most of his life. Intrigue, skippered by longtime friend Don Calvert, won the Division 1 AMS category of the Combined Clubs Summer Pennant in a day of challenging sailing on the Derwent and Storm Bay. Summer Pennant race four was dedicated to the memory of Kiddle, who died alone in rugged bushland in Hobart’s Lenah Valley last weekend. The entire fleet yesterday flew black ribbons from their backstays, with veteran yachtsman Don Calvert’s win with Intrigue a special tribute to Kiddle, who had sailed aboard Intrigue for 33 years, including at the Admiral’s Cup in England in 1985. In other Division 1 results Doctor Who (Rod Jackman) won her third out of four races in Division 1 under IRC scoring while the PHS category went to the Mumm 36 Heatwave (Matthew Keal). In the AMS category Intrigue won from Shaun Tiedemann’s Philosopher and Heatwave, while Doctor Who took out IRC again from Philosopher and Intrigue. In Division PHS, Heatwave won from Doctor Who and Peter Cretan’s Tilt. Mike Pritchard’s Cookson 50 Oskana took line honours on a day of miserable weather – a south to south-wester breeze of 20 knots gusting to 30 knots down river and in Storm Bay, a temperature of 14 degrees (felt like 8 degrees) and cold, misty rain. Only 31 of the 52 Pennant entries turned up for the start of the long race. 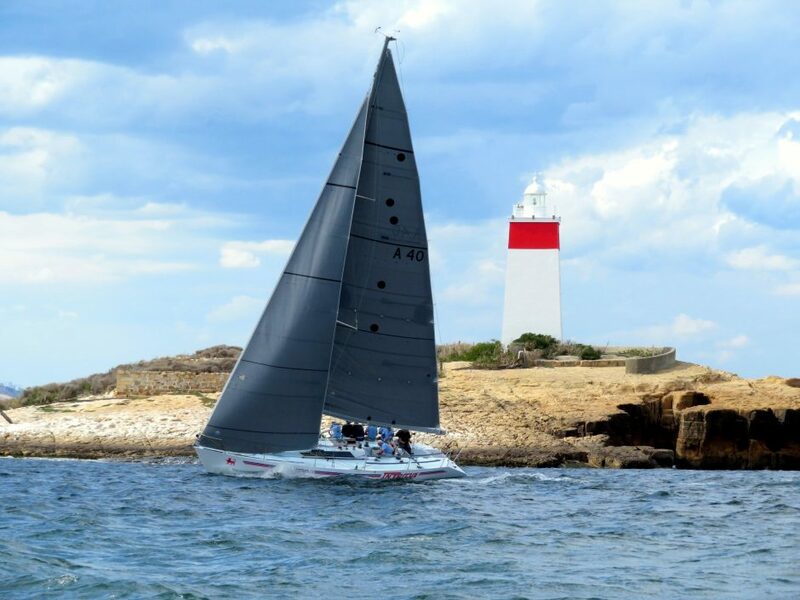 In a post-race decision, the Hanse 400e Illusion has been automatically disqualified from Division 2 of yesterday’s Summer Pennant race for sailing through a Sandy Bay Sailing Club start line for tiny Optimist junior sailing dinghies. Illusion, owned and skippered by David Brett, was leading the Division 2 fleet as she sailed under spinnaker up the Derwent towards the finish off Castray Esplanade. Combined Clubs race officer Biddy Badanach said Sandy Bay Sailing Club had been forced to abandon the start for the Optimists, sailed one-up by juniors mostly aged under 12. “The automatic disqualification of Illusion should serve as a lesson to all yachtsmen that they must respect the start and finish lines of other clubs using the river,” Badenach added. Today, Ilusion’s owner/skipper David Brett wrote on Facebook that Illusion was very sorry for the incident at Optimist’s start line. “We were under extreme difficulty with jibe gone wrong and judged safest route was to maintain course through the line. Apologies to all involved,” Brett wrote. In Division 2, Natelle Two (Glen Roper) won both PHS and IRC, and Wings Three (Peter Haros) took out AMS. In Division 2IRC, Natelle Two, a past Sydney Hobart ocean racing yacht won from Wings Three (Peter Haros) and Rumbeat (Ross Mannering) while Natelle Two won PHS from Wings Three and Southern Swordfish (Ian Stewart). 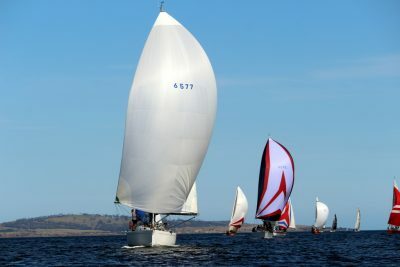 Division 3 produced a double handicap win for Stewart Geeves’ Footloose, the Young 88 taking out IRC and PHS, somewhat making up for the frustrations of the Maria Island Race. Under IRC, Footloose took top honours from Moonshadow (Anthony Ellis) and Groove (Will Justo) while in PHS the Young 88 won from Moonshadow and Serica (Charles Peacock). IIlusion’s skippeer has issued an apology for sailing through the Optimist start line..
Division 3 AMS winner was Young One (Nathan Mills and Jay Nibbs) with Footloose second and Moonshadow third. In Division 4, Camlet Way (Stephen Mannering) scored another impressive victory, winning from Astralabe (Peter Bosworth) and Innovator (Smith/Aberley).